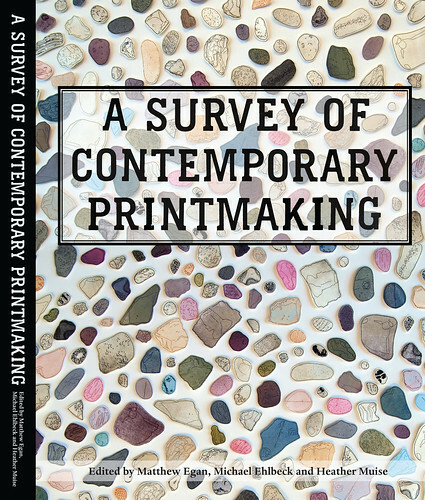 I wanted to take a minute and let y’all know about this fantastic art book called A Survey of Contemporary Printmaking put together by my friend Matt Egan and his colleagues at East Carolina University. 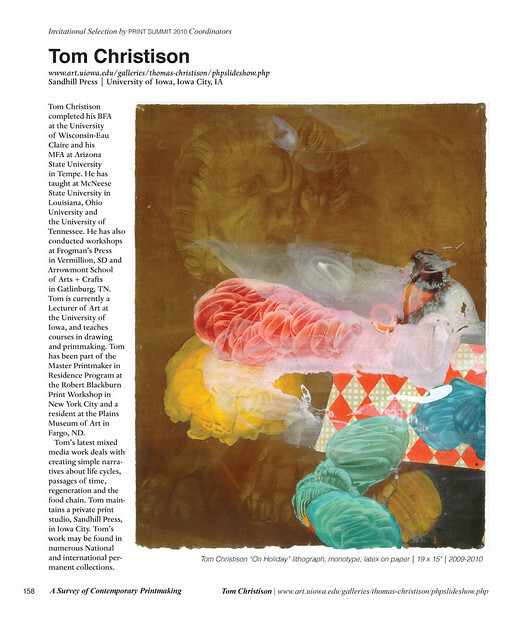 It features over 100 full color images of contemporary artist/printmakers and is a great way to take a gander at the truly fascinating variety of work going on in the field of printmaking right now. 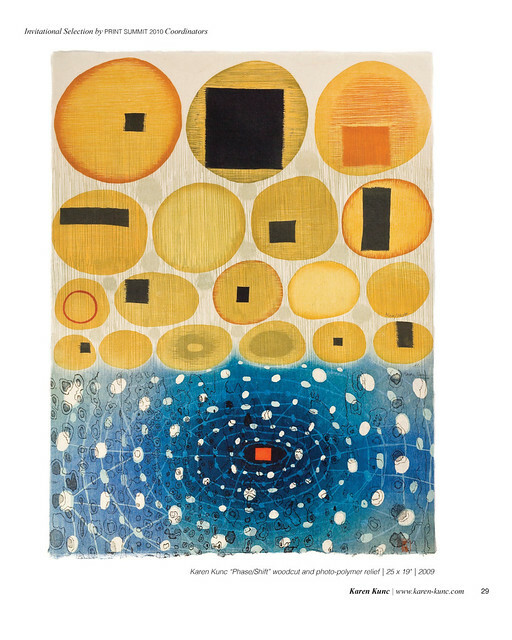 Even if you’re not a printmaker, it’s great just as a resource of contemporary artists. As many of you may know, printmaking is really just complex forms and layers of drawing, which makes it accessible to anyone’s interests. 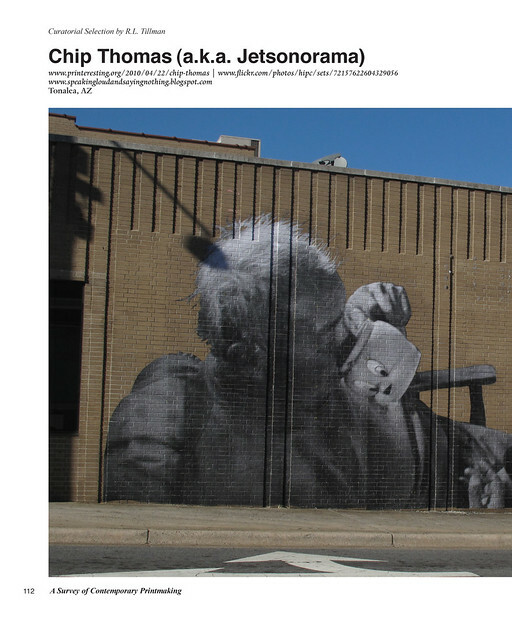 Besides having images of each artist’s work, the book also contains biographies, web addresses and essays written by the artists and the curators of the exhibition this catalog surveys, which took place at PRINT SUMMIT 2010 in Greenville, North Carolina. As soon as Blake and I saw this catalog at the last printmaking conference, we jumped on it. Besides just selfishly lusting after it, we knew it would be a great teaching resource. On top of that, it’s the cheapest full-color art book I’ve ever seen at the cost of $35, including shipping. I honestly don’t know how they’re making these books for so cheap, but I ain’t complaining. So, besides being awesome, why am I pimping this book on my blog? Well, a certain Mr. Matt Egan promised to buy me a beer for every copy I sold while we were at Frogman’s workshop this summer. I sold only one, I think, if that guy ever remembered to bring in his check… but maybe this deal can be extended into the future… So don’t forget, Matt. Any sales you make in the next whenever is undoubtedly due to my love of this book, and I want to see those beers of my future lining up in my dreams like sheep to lull me to sleep! But, seriously, I just see this as a great book that’s begging to be a part of your library. Matt shared some of the pages with me so I could show them to y’all below. Enjoy! 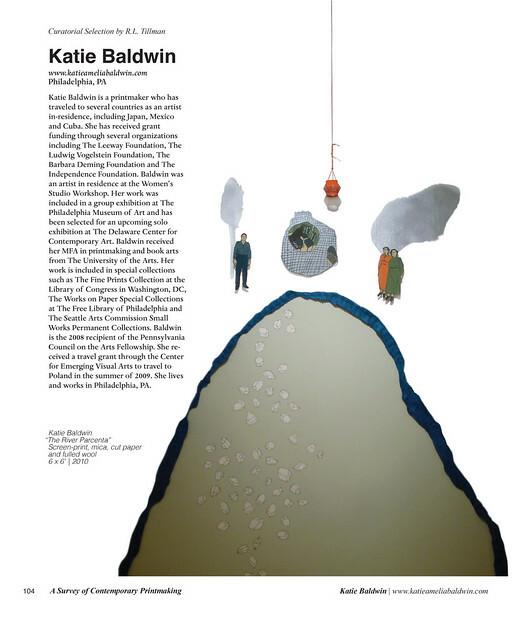 Read more about A Survey of Contemporary Printmaking, including how to get your own copy, on Heather Muise’s website. P.S. After writing this post, I realized I’ve done several book reviews now during the course of this blog, so I created a new “Art Books” Category under the “Art” heading at the top of the page. I’m sure I’ll keep sharing my library of reference books with y’all! In addition to my love of drawing every day, I try to read every day, as well. Holler at me if y’all are on goodreads.com and we can share reviews! printmaking retroarts – Art Supplies. Handmade Arts. Quality bespoke prints.